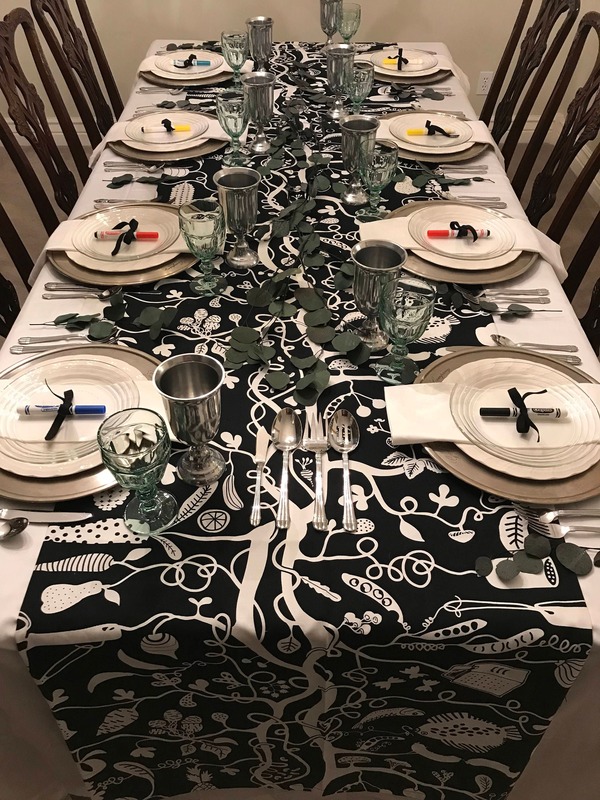 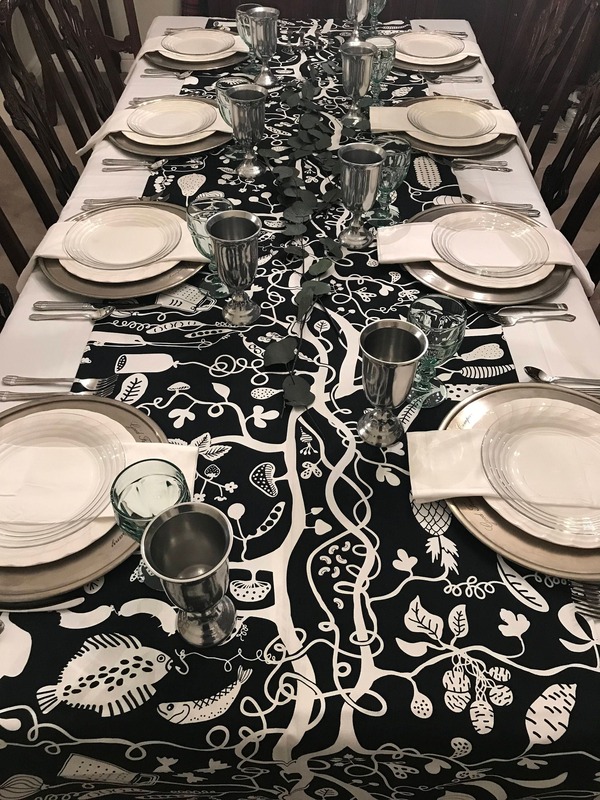 Reinvent family gatherings with this Extra Wide Black & White Coloring Book Table Runner. 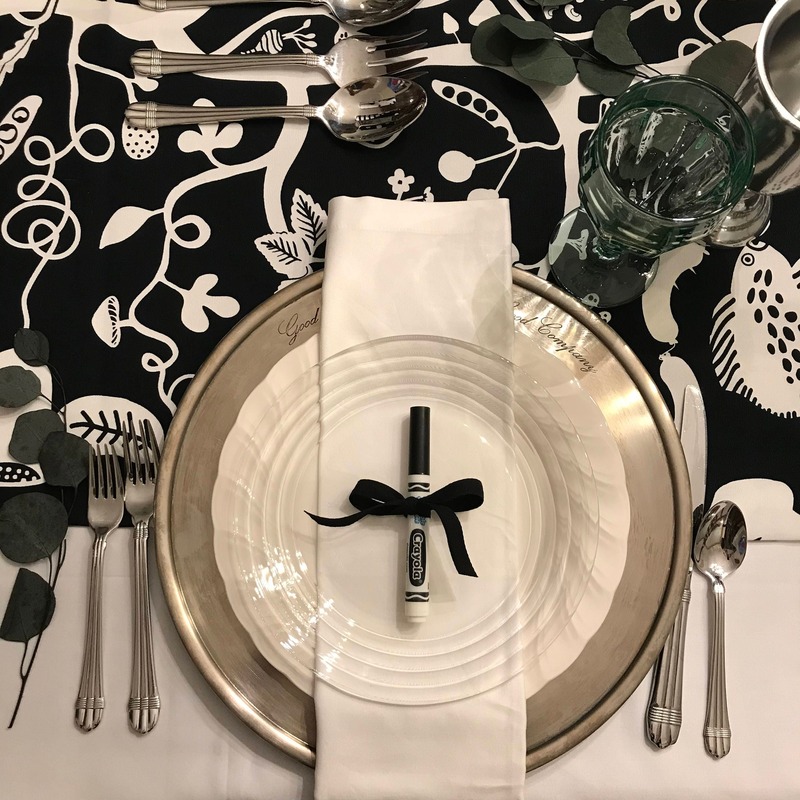 A striking conversation starter, it's sure to get even shy dinner guests talking and interacting at weddings, holiday gatherings, and even casual dinning. 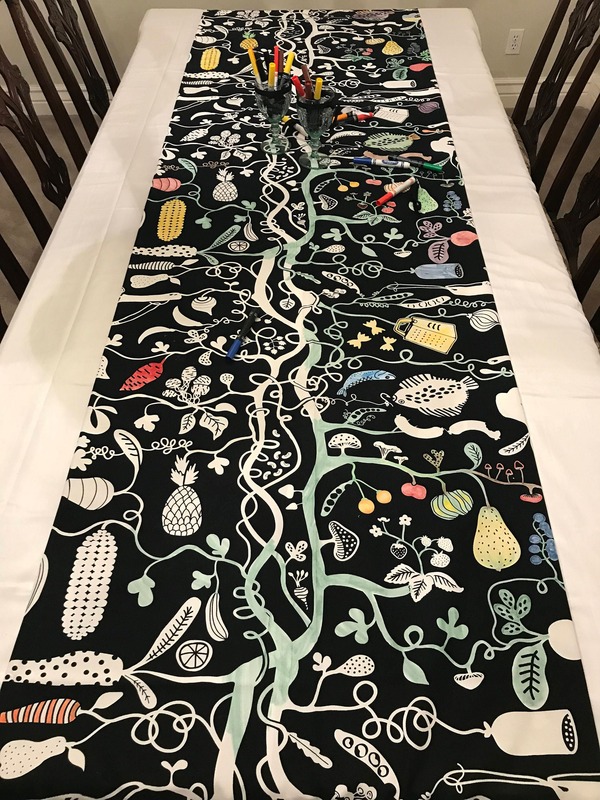 This table runner provides hours of entertainment and fun for your guests between courses and long into the evening, while allowing you to layer it with your other table linens to achieve the dressed up or down look you are after. 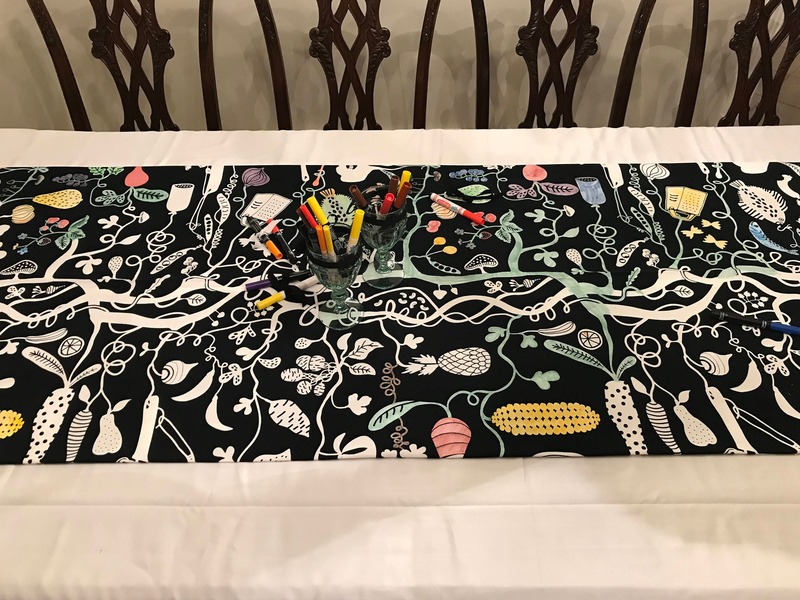 This Coloring Book Table Runner can be colored, washed (to remove marker), and re-used for repeat coloring fun. 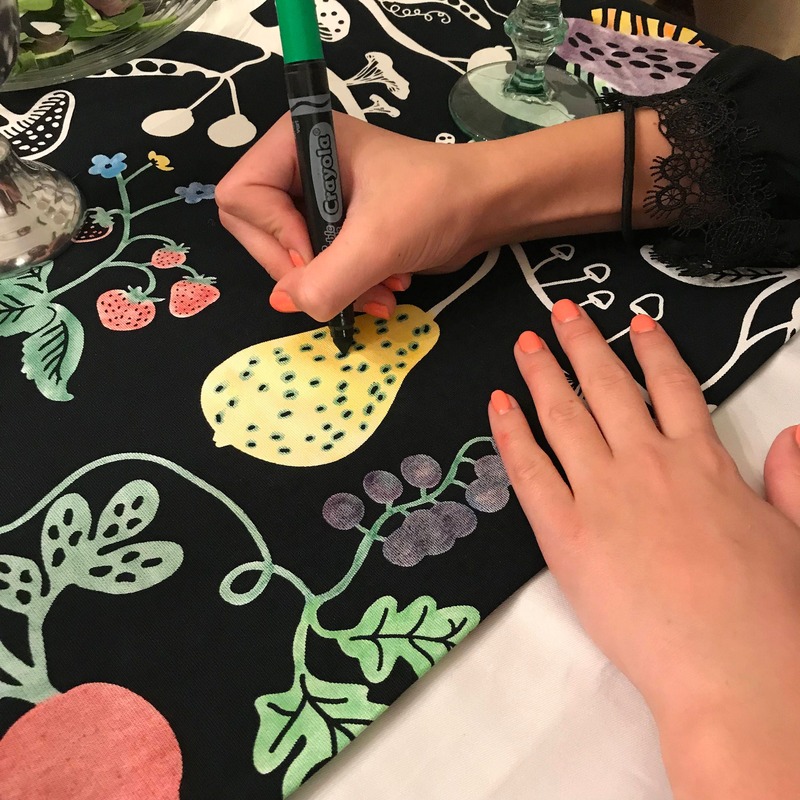 Crayola Ultra-Clean Washable Markers are included. 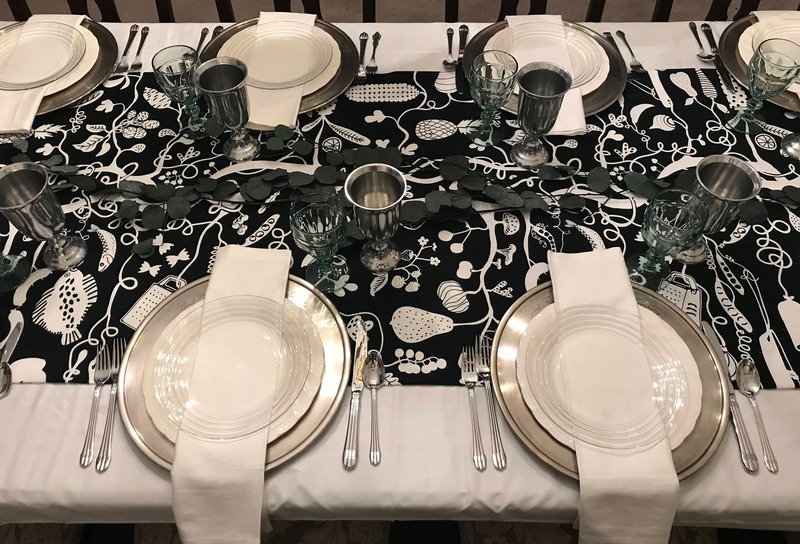 - Available sizes: 58"x30", 72"x30", 90"x30", 108"x30", 120"x30", and 144"x30"
- Machine wash cold, tumble dry cool, iron or steam as needed.